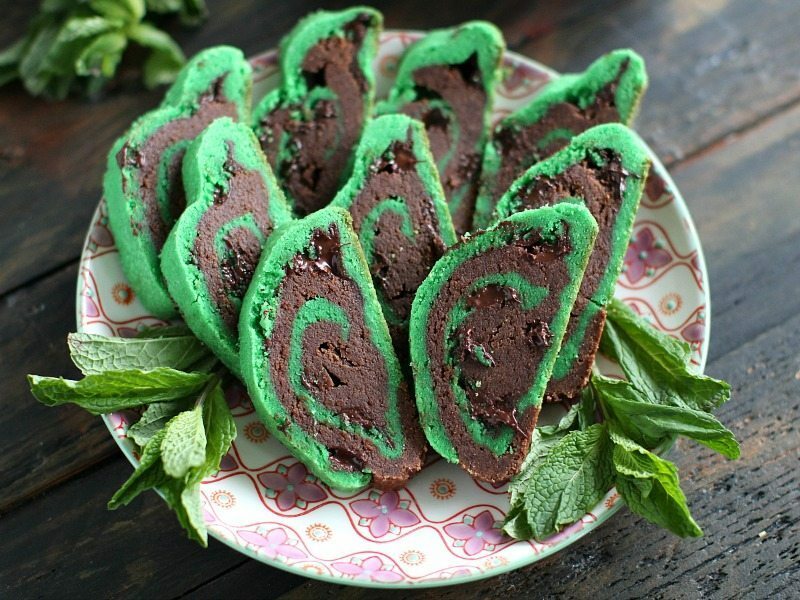 Mint Chocolate Chip Cookies are made in two layers, one mint and one chocolate, are filled with delicious chocolate chips and perfect for St. Patrick’s Day. 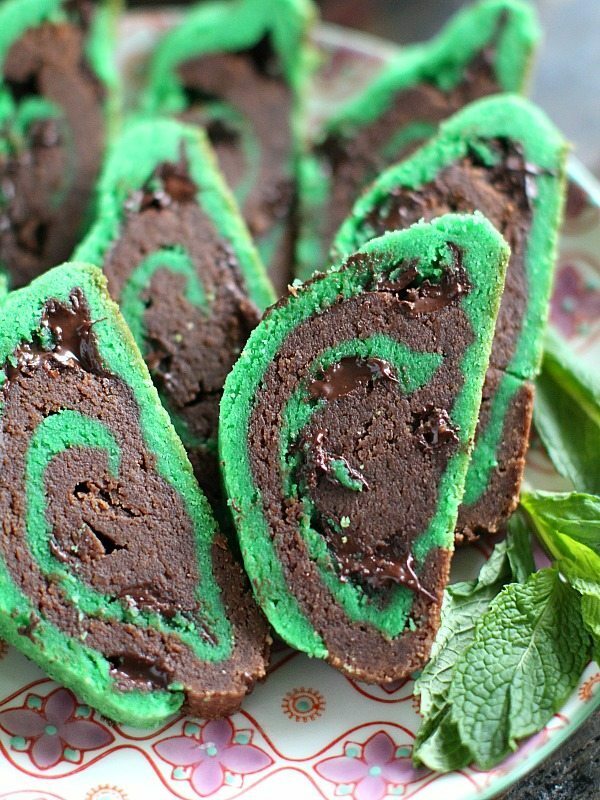 Mint desserts can be very festive, and perfect for special occasions. If you are a fun of mint, I have another delicious dessert Mint Chocolate Chip Fudge, which I suggest you give it a try. Mint Chocolate Chip Cookies are loaded with chocolate chips and mint. This combo is my all time favorite! 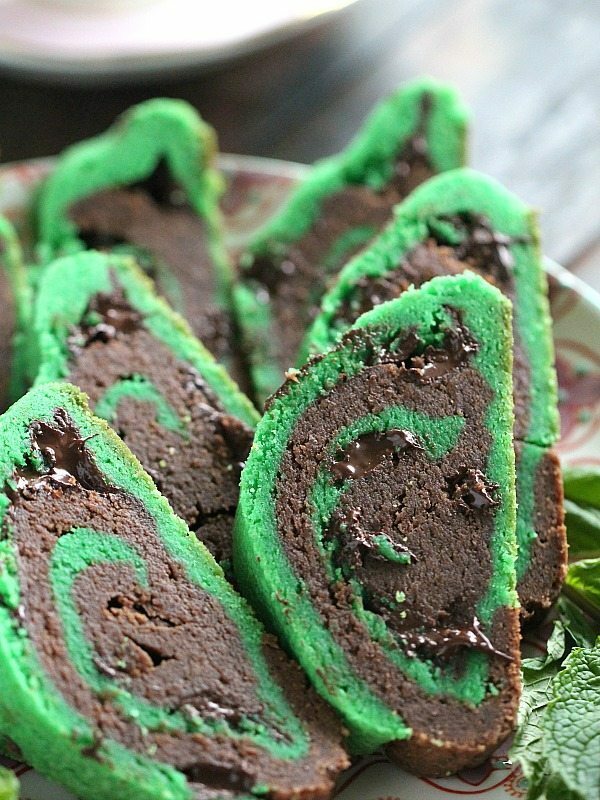 With St. Patrick’s Day so close by, I just wanted to share a green dessert. We know that chocolate makes everything better, especially when its added to buttery cookies. These are not your regular Mint Chocolate Chip Cookies these are so much more. 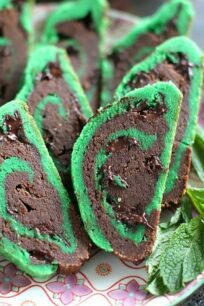 Basically, I made two short bread layers, a chocolate one and a green mint one, added chocolate chips between the layers. Then, I rolled them into a cookie log. After a few hours of refrigeration, I sliced the cookie log. Next, I baked the cookies and was rewarded with these melt in your mouth Mint Chocolate Chip Cookies that are sweet, buttery and with a refreshing mint flavor. The chocolate and mint is always a winning combo, especially when with each bite you get some tasty melted chocolate chips. 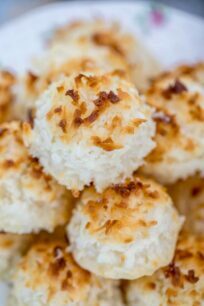 You see how good they look, soft, buttery and with lots of flavor! This is how I love my cookies! We live very close to a town (Hoboken) that just goes wild and crazy on St. Patrick’s Day. People are celebrating and are having fun. Before I moved to US, I didn’t even know about this holiday. But now I can’t wait for it to eat some Irish Soda Bread and drink a green smoothie. How long will Mint Chocolate Chip Cookies stay fresh? The Cookies can be stored wrapped in plastic wrap at room temperature for about 4-5 days. In the bowl of an electric mixer fitted with the wire attachment beat butter on medium speed until fluffy, about 30-40 seconds. Scrape the bowl, and whisk in sugar, salt, baking powder and mint extract. Scrape the bowl as needed and beat until combined. Beat in the egg and when combined, replace the wire attachment with the paddle attachment and gently beat in flour. If the dough is too soft, add ½ cup of flour. The dough must have the texture of play dough. Divide the dough in half, and using a spatula, knead in the green food coloring in one half. Add the remaining half to the bowl of a mixer and gently beat in cocoa powder until fully combined. Roll dough into two balls, cover in plastic wrap and chill in the refrigerator for 10-15 minutes so its easier to work with. Cover your working area with one layer of plastic wrap, 15 - 16 inches long. Remove the dough from the refrigerator and unwrap. Place the green dough ball onto the plastic wrap on the counter, flatten it and using a rolling pin shape it into a rectangular, about 10X9. Repeat with the chocolate dough ball, but make the rectangular one inch smaller. Transfer the chocolate rectangle onto the green rectangle. Its ok if the dough tears down in some spots, use your fingers to shape it. The dough must be soft and easy to work with. Press the chocolate chips into the chocolate layer. The chocolate rectangle is on top of the green rectangle that sits on plastic wrap. Using the plastic wrap lift the edge that is closer to you and start rolling the dough into a cookie roll. The dough now resembles a cookie roll covered in plastic wrap. You can shape it as a log, or make it more round, as you prefer. 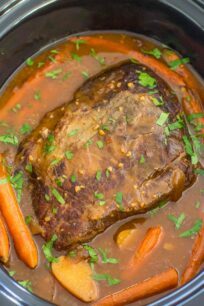 Secure the ends and place in the fridge for at least 6 hours. The dough can be made in advance and left in the fridge overnight, or even for 2 days. When you are ready to bake the cookies, preheat oven to 350F. 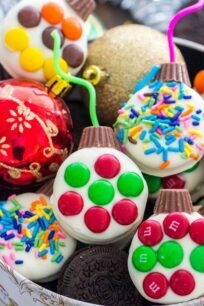 Remove the cookie roll from the refrigerator and slice in ½ or ¼ inch rounds. Line two cookie sheets with parchment paper and arrange the cookies 1½ inches from each other. Bake for 10 minutes. Mid baking switch the sheet trays in the oven: the upper one goes to the bottom, and the bottom one is moved up. The cookies are done when the edges are firm and the bottoms light brown. Remove from the oven and let the cookies cool on the cookie sheets for 2 minutes, after that transfer to a cooling rack.